I ask that you pray for and against the spirit of unforgiveness in my wife Antoinette Williams. My wife believes that Im still involved with my ex, which couldn't be further from the truth. 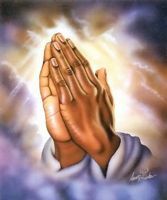 My wife hadn't spoke to me in over a week, and I got down on my hands and knees and begged God and her to forgive me. At this point she said that she's not ready to forgive me. So I've been dealing with a mute spirit from her, she's been keeping her distance from me. And I'm just praying that the Holy Spirit gives her a heart of flesh instead of her hard heart towards me.